^ Jarvis, Jeff. 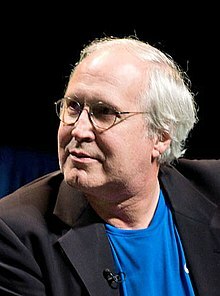 "Chevy Chase's New High: Fatherhood". People.com. Retrieved 2015-02-26. ^ "blogs.haverford.edu". blogs.haverford.edu. Retrieved 2015-02-26. ^ McCoy, Terrence. "''Chevy Chase, Too Mean To Succeed'' Washington Post 2015-02-17". Washingtonpost.com. Retrieved 2015-02-26. ^ "Palm Springs Walk of Stars by date dedicated" (PDF). Archived from the original (PDF) on 2012-10-13. Retrieved 2015-02-26. 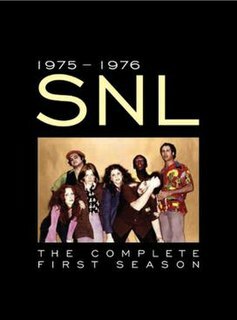 Lorne Michaels,, is a Canadian-American television producer, writer, actor and comedian best known for creating and producing Saturday Night Live and producing the Late Night series, The Kids in the Hall and The Tonight Show. Dana Barron is an American actress who is best known for her role as the original Audrey Griswold in the 1983 film National Lampoon's Vacation which she reprised in 2003's National Lampoon's Christmas Vacation 2: Cousin Eddie's Island Adventure for NBC television. Richard Jay Belzer is an American stand-up comedian, author, and actor. He is best known for his role as BPD Detective, NYPD Detective/Sergeant and DA Investigator John Munch, whom he has portrayed as a regular cast member on the NBC police drama series Homicide: Life on the Street and Law & Order: Special Victims Unit, as well as in guest appearances on a number of other series. He portrayed the character for 23 years from 1993 to 2016. 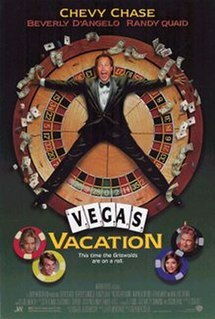 The National Lampoon's Vacation film series is a comedy film series initially based on John Hughes' short story "Vacation '58" that was originally published by National Lampoon magazine. 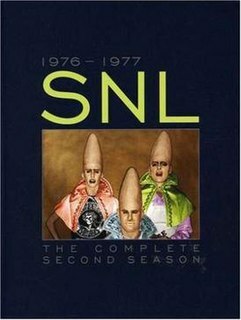 The series is distributed by Warner Bros. and consists of five main films, two of which are not sponsored by National Lampoon, and one spin-off. In recent years, the series has been the inspiration for various advertising campaigns featuring some of the original cast members. The series portrays the misadventures of the Griswold family, whose attempts to enjoy vacations and holidays are plagued with continual disasters and strangely embarrassing predicaments. Kevin Kelton is a television writer-producer whose credits include Saturday Night Live, Night Court, Boy Meets World and other network series. 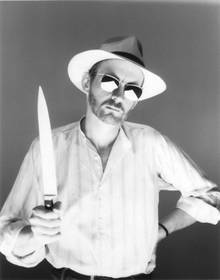 He has also written articles and essays for National Lampoon. 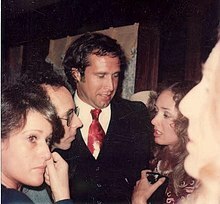 Kelton is the younger brother of the comedian Bobby Kelton, who appeared regularly on The Tonight Show Starring Johnny Carson during the 1970s and 1980s. Kevin now teaches TV and Film writing for the UCLA Extension Writers' Program. He also co-hosts The More Perfect Union podcast.